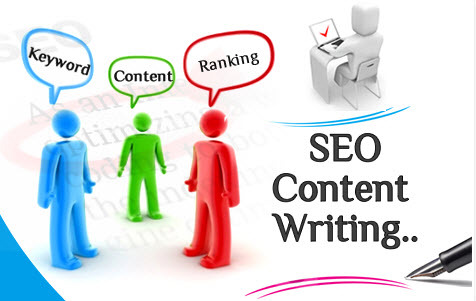 Content is essentially one of the important elements of SEO. Gone are the days when you could stuff keywords as per your will, regardless of whether it made any sense or not. Also, writers used to include keywords forcefully, which was quite evident when the bounce rate was high. These days just writing quality content is not enough, the prerequisite of quality content is undoubtedly higher. The 3 most important aspects that you need to take into account in order to produce true quality content include back links (there has to be fairly good number of back links if not abundant), optimizing keywords (the keywords present in the content have to be optimized essentially after extensive searches), and finally the subject matter on which the content is dealing and this has to be relevant to the body of the content; the topic selected should be such that it is able to attract visitors not just once but repeatedly to the website with the hope of reading something useful, informative, and interesting. Aside from the above, the experts point out that the “intent of the readers” is something that the writers must be able to grasp. In other words, you should be able to identify the temperament of your readers without seeing them physically, which is definitely not an easy task and this is where the challenge lies. Remember, it is the visitors that are reading your content, search engines only evaluate your content and depending on the bounce rate, analytics, and few other parameters, these very search engines are able to rate or rank your web page. As such, experts always are of the opinion that it is not a wise move to write for the search engines but you ought to write keeping in mind your target audience – visitors. Why writing for search engines isn’t a wise move? • The keyword incorporation will be forceful and as a result will look unnatural and meaningless and it will only indicate further that you have tried to manipulate things. • The article will not be appealing or interesting. • At the end of the day, your visitors might be driven to the website but will not last long. This will be reflected in the higher bounce rates that the web page will suffer. • Most importantly, if your article is not meaningful and above all useful, none of the webmasters will agree to share back links with you or link to your post. And you cannot deny the fact that links (particularly back links) help in enhancing visibility of the web page). As such, it is always a wise move to write for human beings and not for robots or machines. They might help you to get web traffic but you are sure to taste success which is short lived. This in turn will impact your SEO rankings on the search result page. In other words, you will not be able to stay on the top and even if you do stay there for a while, you are sure to nosedive and gathering courage to stand up again might be a difficult task altogether.